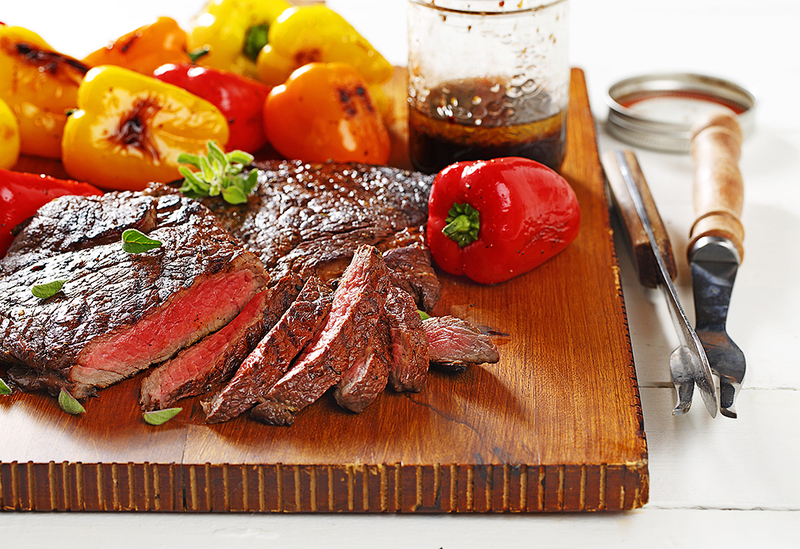 A zesty marinade adds flavor to steak while cute, colorful peppers are grilled whole to serve alongside. Canola oil stays free-flowing in the fridge, making it perfect for marinades and vinaigrettes. 1. In a large (10-9/16" x 10-3/4" / 26.8cm x 27.3cm) size resealable bag, combine red wine, vinegar, canola oil, Worcestershire sauce, garlic, oregano, pepper, salt. Add the beef, seal tightly and toss back and forth to coat completely. Refrigerate overnight or at least 8 hours, turning occasionally. 2. 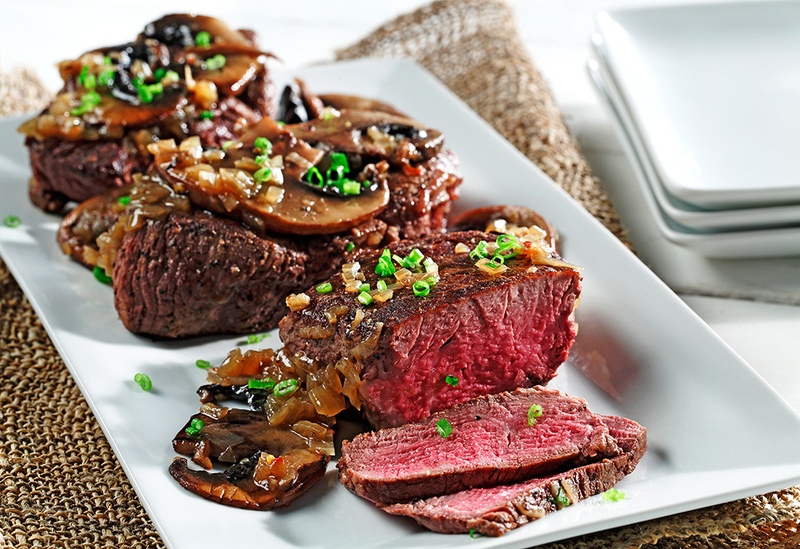 Remove beef from refrigerator and let stand 15 minutes. 3. Meanwhile, heat a grill or grill pan over medium-high heat. Toss the peppers with 1 Tbsp (15 mL) canola oil and grill 8 minutes or until just tender and beginning to brown. Sprinkle with 1/8 tsp (0.5 mL) salt and pepper. Set aside on separate plate. 4. 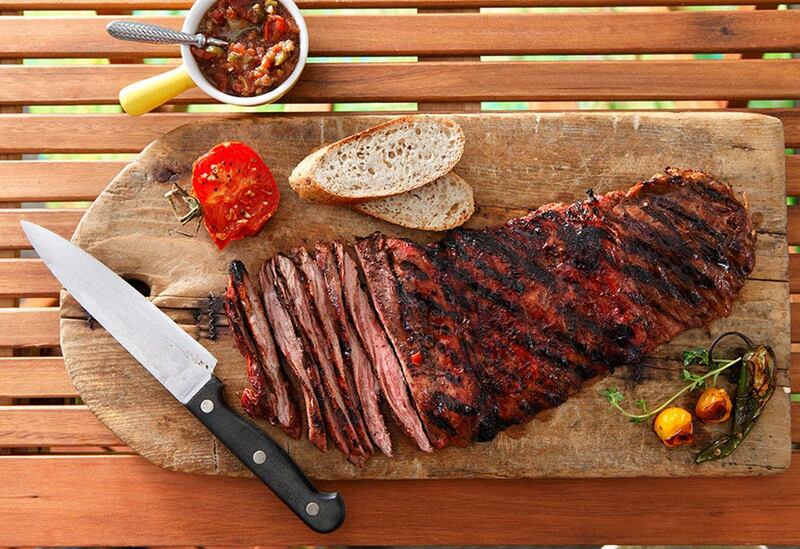 Remove beef from marinade, reserving marinade. 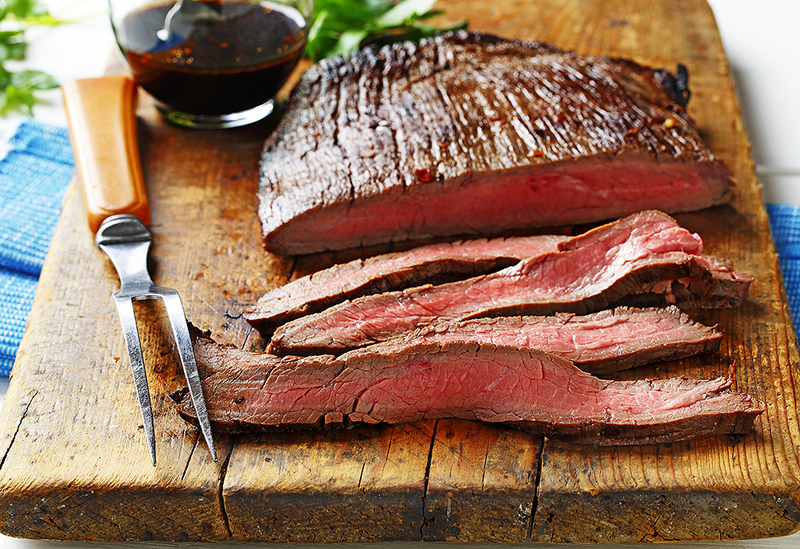 Cook beef 4-6 minutes on each side or to desired doneness. Place on cutting board and let stand 3 minutes before slicing against the grain. 5. Meanwhile, pour the marinade into a small saucepan, bring to a boil and boil 5-6 minutes or until reduced to 1/4 cup (60 mL) liquid. Serve peppers alongside beef. Whisk sauce until well blended and spoon evenly over beef slices. Sprinkle with parsley, if desired.